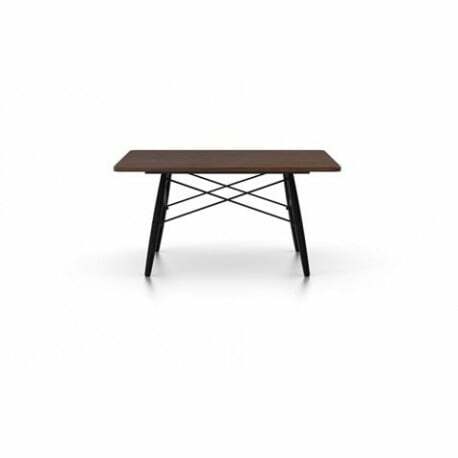 In 1949, Charles and Ray Eames designed a coffee table as a unique furnishing for their own residence, the legendary Eames House in Pacific Palisades, near Los Angeles. Ever since, the table has contributed to the unique decor of this historic home interior. The rectangular table top, which gives a simultaneous impression of simplicity and luxury, was originally covered in gold leaf. 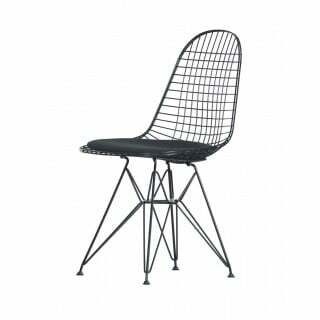 Its dowel-leg base is a variation of the wooden base found on the Eames Plastic Chairs. 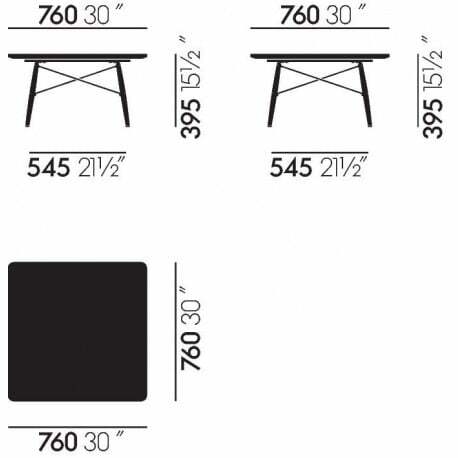 In the following years, Charles and Ray Eames produced two more of these tables, but with a marble top. The re-edition of the Eames Coffee Table, which was developed by Vitra in cooperation with the Eames Office, evokes the spirit of the early one-off pieces: fabricated in exquisite materials, this high-quality coffee table is both precious object and utilitarian furnishing. 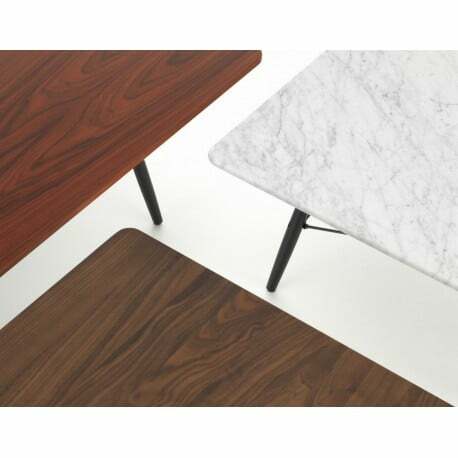 The square or rectangular table tops are made of palisander veneer, marble or solid American walnut. 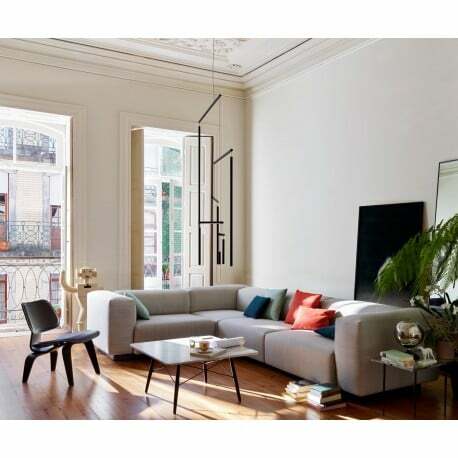 The base, combining black wooden legs with metal cross-struts, provides a stable understructure and emphasises the understated elegance of the Eames Coffee Table.